Ethically hand mined in Chifeng, Inner Mongolia. 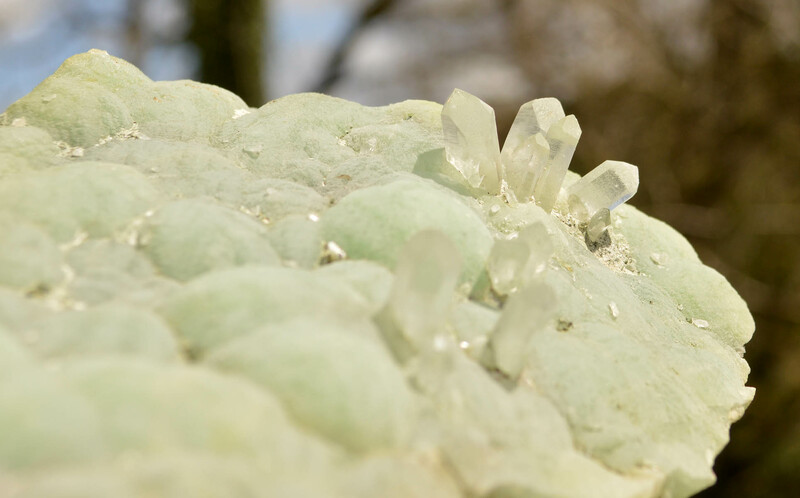 Stunning green calcite nodules provide a landscape for quartz trees. The bottom is beautiful in a different was, studded with bright little quartz DT's. "Placing calcite, of the appropriate chakra color, upon the chakra, has not only cleared and activated that chakra, but has provided a sweeping action which cleared the remaining centers. The clear calcite and golden calcite are excellent energy sources for use at the crown chakra; the clear calcite has also been used at all chakras to provide for the amplification of the energy available." 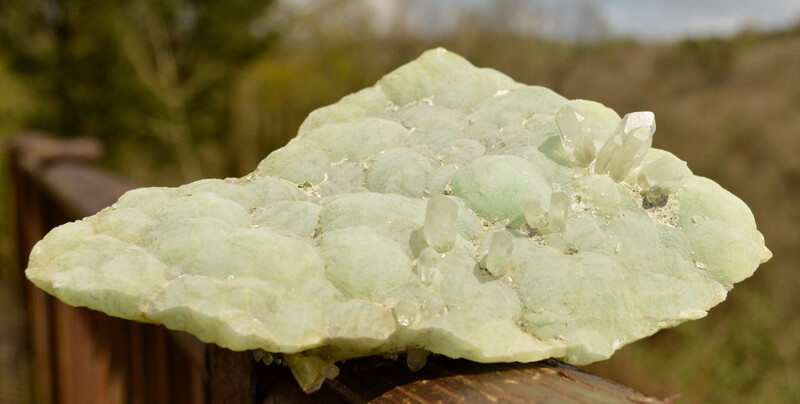 Stunning green calcite nodules provide a landscape for quartz trees. 160 x 100 x 40 mm, 664 grams.